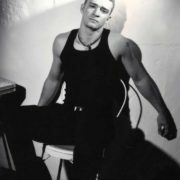 Justin Timberlake is an American pop and R&B-singer, songwriter, producer, dancer and actor. He is a winner of four Emmy and nine Grammy awards. 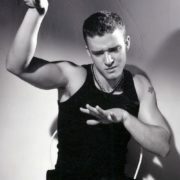 Timberlake came to fame as one of the soloists of the boy band ‘N Sync. In 2002, he released his first solo album, Justified, sold more than 8 million copies worldwide. The second solo release was the album FutureSex / LoveSounds, which was released in 2006 and included the successful singles such as the SexyBack, My Love and What Goes Around … Comes Around, which became number 1 hits in USA. 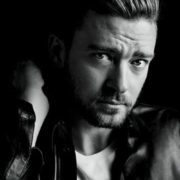 Timberlake has sold more than 18 million copies of his two solo albums. He also founded his own record label Tennman Records and launched a clothing line William Rast. 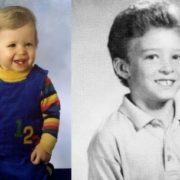 Justin Randall Timberlake was born on born January 31, 1981 in Memphis, Tennessee to Lynn Harless and Randall Timberlake. His parents divorced in 1985, and then both found new spouses. His mother, who now runs an entertainment company Just-in Time Entertainment, married Paul Harless, when Justin was 5 years old. His father, the conductor of the choir in the Baptist church, married Lisa who gave birth to two sons, Jonathan (born in 1993) and Steven (born in 1998). Justin’s half-sister Laura died in infancy. Some time after his sister’s death, he moved to Ottawa (Canada), but soon returned to the United States. The first steps in the musical career Justin did in the TV show Star Search. He performed songs under the name Justin Randall. His idols since childhood were Al Green and Michael Jackson. Elton John also was his idol. 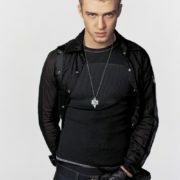 Subsequently, Timberlake played the role of young Elton in the video for his song This Train Do not Stop Here Anymore. 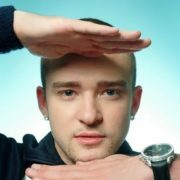 Since 1993, Justin appeared in the children’s show The Mickey Mouse Club where he met future band mate, singer JC Chasez, as well as Christina Aguilera and his future bride – Britney Spears. In 1995, when the show was over, Justin invited Chasez to join a new band, which soon became famous as ‘N Sync. In May 1997, the band released their debut album, which was sold more than 11 million copies. The third studio album, No Strings Attached, released in 2000, was sold about 15 million copies. In the same year, ‘N Sync won three MTV Video Music Awards. 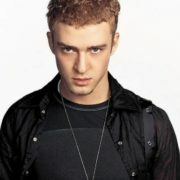 In 2002, Timberlake announced his break up with Britney Spears and began his solo career. His debut album Justified won two Grammy awards. 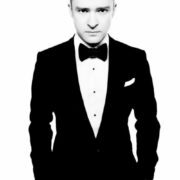 His second album – FutureSex / LoveSounds (another two Grammy) – he recorded together with trendy hip-hop producer and songwriter Timbaland. 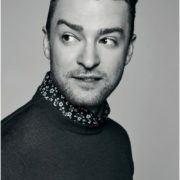 Timberlake was named Sexiest Man by Teen People and Cosmopolitan. In 2013, Timberlake recorded a joint song with Jay-Z. On March 15 he released the third album The 20/20 Experience. The first film debut was in the film Model Behavior aired on Disney Channel. In 2005, he starred in the film Edison where also played Morgan Freeman, Kevin Spacey and LL Cool J. 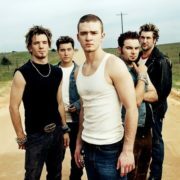 In 2006, Justin played one of the major roles in the film Alpha Dog. In 2007, he voiced the young King Arthur in the animated film Shrek the Third. It was his first collaboration with his ex-girlfriend Cameron Diaz. In 2008, he starred in the movie The Love Guru. In 2009, he starred in The Open Road. In 2010, Justin played Sean Parker in the Oscar-winning film The Social Network, which tells about the creation of Facebook. In 2011, three films with his participation were released: comedy Bad Teacher (new collaboration with Cameron Diaz), a romantic comedy Friends with Benefits (duet with Mila Kunis) and fiction thriller Time (duet with Amanda Seyfried). In 2012, he starred in Clint Eastwood’s sports drama Trouble with the Curve. 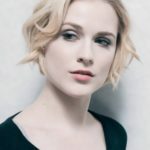 In 2013, he co-starred with Ben Affleck and Gemma Arterton in the thriller Runner, Runner, which received negative reviews. In 1997-2002, he dated Britney Spears. 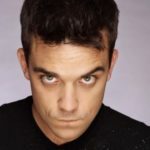 After their break up he released a song Cry Me a River which later became a worldwide hit. In 2003, Timberlake started dating Cameron Diaz (he is nine years younger than her). In early 2007, the couple announced their break up. 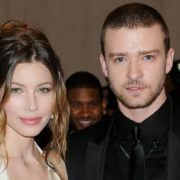 In February 2007, Justin began dating actress Jessica Biel. In 2011, they broke up, but a few months later they reunited and on October 19, 2012 married in Italy. Their son Silas Randall Timberlake was born in April 2015.